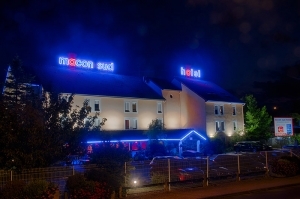 Exit 29 A6 or A40 Macon sud, conveniently located in a peaceful area yet not far from the centre of Mâcon and 20 mn driving to Cluny, the Comfort Hotel offers quality accommodation in the heart of Burgundy. The new owners, Denis et Virginie welcoming you in this recently renovated hotel, Ask for our “Queen Size” Double Duvet room and Room services. 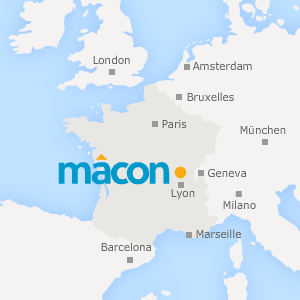 Well-connected to the main highways and TGV train station, it’s an ideal stopover for guests wishing to quickly reach main attractions or business facilities of Mâcon and Lyon. Ask for our Special business advantages. 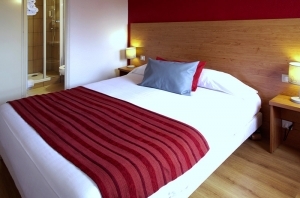 This non-smoking hotel also provides the perfect spot for guests wishing to start their sightseeing in the Beaujolais area and discover its famous vineyards.